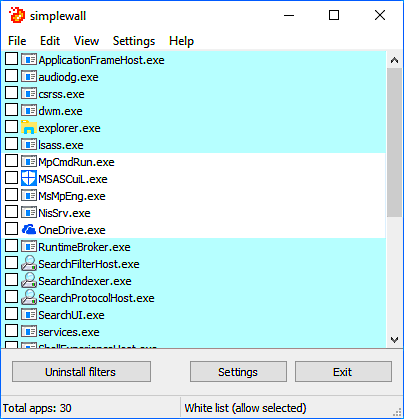 SimpleWall is a simple tool to configure Windows Filtering Platform (WFP) which can configure network activity on your computer. Features: Simple configuration; Adware, telemetry blocking. You can download either the installer or portable version. For correct working, need administrator rights. Simple configuration (to understand it not necessary to work in NASA). Localization support (you may translate interface into your language).